Today our team shared best choice Cyber - Tech News Blogger Template. This makes it easy for you to write and edit articles. We have carefully developed issues with magazines and blogs / magazines / nicks - personal, professional, blogging, publishing, suitable Website etc. Increasing the exposure of your ads while seeing a decrease in your bounce rate will allow your site visitors to maximize the profits of the ads. If you are looking for dynamic style blogger theme, this is the best option for you. Free download from cyber is a template for Blogger and is specially designed for blog technology. It has a professional design that helps in setting up a professional and attractive website. You can use this template on your site and enjoy its various features. What's new:- looking very cool . Also Optimizes js script. H1 h2 tag Optimize. All in one seo pack has been added. Full setup button below here. 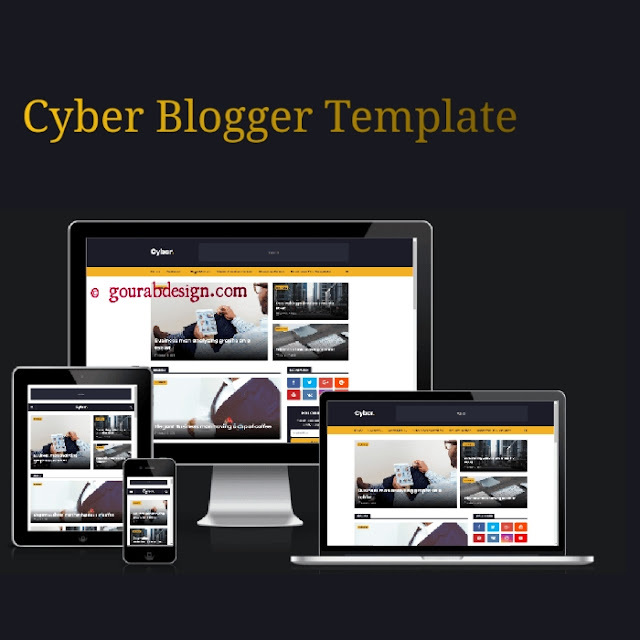 Cyber Blogger Template is a for news in blogging technology and semi-magazine looking. Skills available in pre-designed configurations and pre-made templates Cyber ​​comes with many widgets that will help you publish your blog more professionally. For your convenience, we have published a detailed document so that you can organize your blog. You have made a good decision by choosing our model. This Blogger Templates are among the all models organized to develop and plan their skills with the best bloggers. This guide has a highlighted slidebar that has excellent features, luxurious, stylish and stylish look. You can view the live demo by clicking the button above or bellow button download a template and carefully review the documents carefully to configure your blog.